“I will be everyone’s prime minister,” Blue-White leader Benny Gantz promised in his victory speech after bypassing Binyamin Netanyahu’s Likud with 37 seats to 36 or 33, variously predicted by two TV channels’ exit polls. Gantz and his cheering followers were premature. 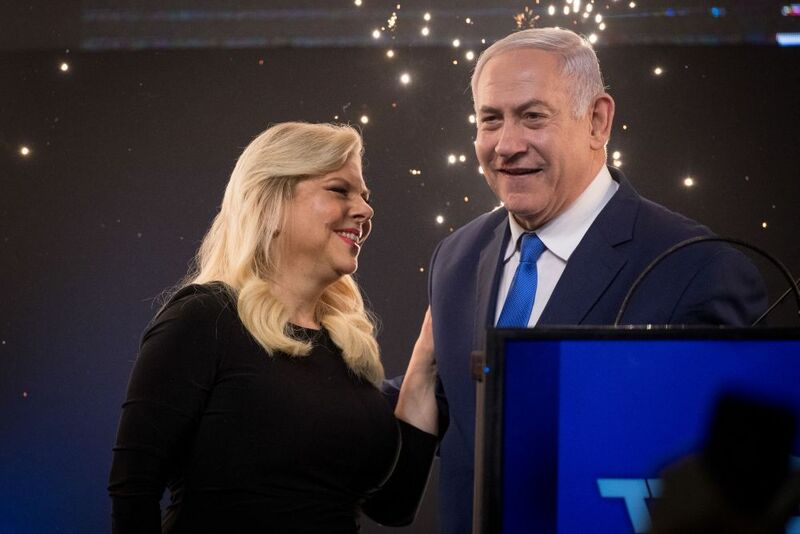 A 20pc count of votes just after midnight gave Likud 34 seats to Blue-White’s 30, while the 97pc count early Wednesday registered a tie of 35 between them. Netanyahu, for his part, has no time to lose before building a stable coalition government out of right-wing and religious parties – no easy task, while preparing to defend himself in a hearing before the attorney general set for July, in the hope of extricating himself from the cases pending against him. Three religious parties announced on Tuesday night that they were wholeheartedly behind him; Kahlon and Lieberman, who hopes to recover the defense portfolio will also stand by Netanyahu when he establishes his fifth coalition government. So does this mean Netanyahu won??? Whoever wins must get a coalition. If he can’t he can get an extension time. If he still can’t the office goes to the other party and he tries. Kudos to Bibi! Death to Oslo and to Gaza!! There is a great opportunity for Gantz in Iran. Not only do they control his phone but now they can control his person. He should take his three stooges with him. The fascist dictator stole it, just like the Bush gang in Florida. Saw that from a mile away! ??? ‘weaker than a spiders’ web’ ???? mmm…??? I wonder how many others are curious like me how people like “Weaker than a Spider’s Web” (an appropriate name) conjure up such strangely idiotic posts? i am so bitter and delusional and pathetic……this is the best comment i can muster. Happy Nakba you DUMB SACK of SHlTler! It is sad that the best the intellectually challenged “Scum Remover” –a more appropriate name would be “Scum Applicater” –can do in his post is to call leaders (he doesn’t like) of Democracies, nasty names like “fascist.” Silly, sad, boy.